Rasburicase is a recombinant urate oxidase that catalyzes the oxidation of uric acid into allantoin, a more soluble metabolite. 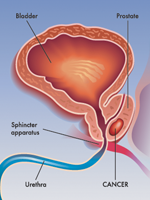 Within hours of intravenous administration, rasburicase directly reduces serum uric acid concentrations, making it an essential therapy for the prevention and treatment of hyperuricemia in patients with tumor lysis syndrome (TLS).1 Prompt administration of rasburicase in high-risk malignancies is therefore key for preventing uric acid–induced acute kidney injury, which can exacerbate concomitant electrolyte abnormalities of TLS and potentially delay chemotherapy elimination. Hemolytic anemia can be caused by autoimmune or nonimmune processes. Autoimmune hemolytic anemia involves RBC destruction caused by immunoglobulin G antibodies.4 Autoimmune hemolytic anemia is often secondary to diseases involving the immune system, such as HIV, rheumatoid arthritis, and chronic lymphocytic leukemia. To test for autoimmune hemolytic anemia, a direct antiglobulin test, also known as the direct Coombs test, would yield a positive result and would necessitate further testing. 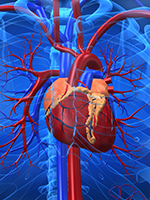 Negative direct antiglobulin test results suggest that the hemolytic process is not likely to be immune-related, and that other causes should be evaluated. The only source of NADPH in an RBC is the pentose phosphate pathway. Therefore, increased exposure to oxidation in the setting of diminished G6PD expression leads to denatured hemoglobin, characterized as “Heinz bodies,” which are then destroyed by macrophages in the spleen.9 After rasburicase administration, hydrogen peroxide is created as the byproduct of the enzymatic oxidation of uric acid into allantoin. With low levels of G6PD expression, the normal mechanisms to convert hydrogen peroxide to water are overloaded, resulting in extensive hemolysis. 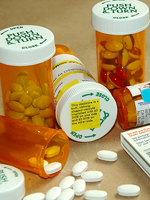 It is unclear whether doses of rasburicase ≤3 mg may mitigate hemolysis in patients with G6PD deficiency. In the event that urgent rasburicase administration is required in a high-risk patient with unknown G6PD status, it would be reasonable to use single doses of 3 mg or 1.5 mg to mitigate potential hemolysis. Further studies are needed to validate this approach. Although rasburicase-induced hemolytic anemia is potentially fatal, the majority of known cases have been mild, with treatment options mainly involving supportive care with oxygen supplementation and packed RBC transfusions.13 Any other potentially oxidative agents should be discontinued, at least until normal RBC function is restored. It is important to note that although corticosteroids are vital in the treatment of autoimmune hemolytic anemia, they are ineffective for nonimmune-related hemolytic anemia.4 This underscores the importance of obtaining a direct antiglobulin test to rule out an autoimmune process. 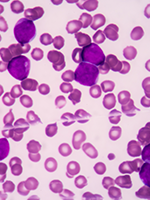 This is particularly important in patients with leukemia, for whom autoimmune hemolytic anemia can be secondary to the disease, or those with an underlying infectious process. Rasburicase is an essential agent for the prevention and treatment of hyperuricemia in patients with TLS, but it should be avoided, if possible, in those with a suspected or known G6PD deficiency, because of the risk for hemolytic anemia. Hemolytic anemia is uncommon, but it can be a serious concern, and although it is usually mild, it could lead to death in rare cases. Hemolytic anemia in patients with G6PD deficiency usually resolves with discontinuation of rasburicase and with supportive care measures, including packed RBC transfusions and/or oxygen supplementation. Corticosteroids are not likely to be effective, and methylene blue should be avoided if methemoglobinemia is present. Dr Kaland and Dr Borg have no conflicts of interest to report. Coiffier B, Altman A, Pui CH, et al. Guidelines for the management of pediatric and adult tumor lysis syndrome: an evidence-based review. J Clin Oncol. 2008;26:2767-2778. Erratum in: J Clin Oncol. 2010;28:708. Nguyen AP, Ness GL. Hemolytic anemia following rasburicase administration: a review of published reports. J Pediatr Pharmacol Ther. 2014;19:310-316. Lechner K, Jäger U. How I treat autoimmune hemolytic anemias in adults. Blood. 2010;116:1831-1838. Dhaliwal G, Cornett PA, Tierney LM Jr. Hemolytic anemia. Am Fam Physician. 2004;69:2599-2606. Sikka P, Bindra VK, Kapoor S, et al. Blue cures blue but be cautious. J Pharm Bioallied Sci. 2011;3:543-545. Sonbol MB, Yadav H, Vaidya R, et al. Methemoglobinemia and hemolysis in a patient with G6PD deficiency treated with rasburicase. Am J Hematol. 2013;88:152-154. Kizer N, Martinez E, Powell M. Report of two cases of rasburicase-induced methemoglobinemia. Leuk Lymphoma. 2006;47:2648-2650. Cappellini MD, Fiorelli G. Glucose-6-phosphate dehydrogenase deficiency. Lancet. 2008;371:64-74. Luzzatto L, Seneca E. G6PD deficiency: a classic example of pharmacogenetics with on-going clinical implications. Br J Haematol. 2014;164:469-480. Bauters T, Mondelaers V, Robays H, et al. Methemoglobinemia and hemolytic anemia after rasburicase administration in a child with leukemia. Int J Clin Pharm. 2013;35:303-305. Relling MV, McDonagh EM, Chang T, et al; for the Clinical Pharmacogenetics Implementation Consortium. 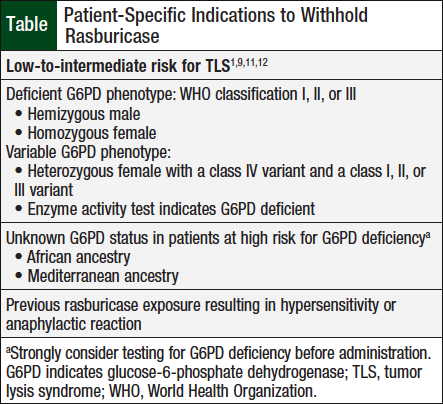 Clinical Pharmacogenetics Implementation Consortium (CPIC) guidelines for rasburicase therapy in the context of G6PD deficiency genotype. Clin Pharmacol Ther. 2014;96:169-174.
WHO Working Group. Glucose-6-phosphate dehydrogenase deficiency. Bull World Health Organ. 1989;67:601-611. Sherwood GB, Paschal RD, Adamski J. Rasburicase-induced methemoglobinemia: case report, literature review, and proposed treatment algorithm. Clin Case Rep. 2016;4:315-319. Park SY, Lee KW, Kang TS. High-dose vitamin C management in dapsone-induced methemoglobinemia. Am J Emerg Med. 2014;32:684.e1-684.e3.